In Scottsdale, Arizona, the living is pretty easy. Just look at its thoroughfares: Carefree Highway and Happy Canyon Road. Our own short stay in the sunny town could hardly be called ‘roughin it’. 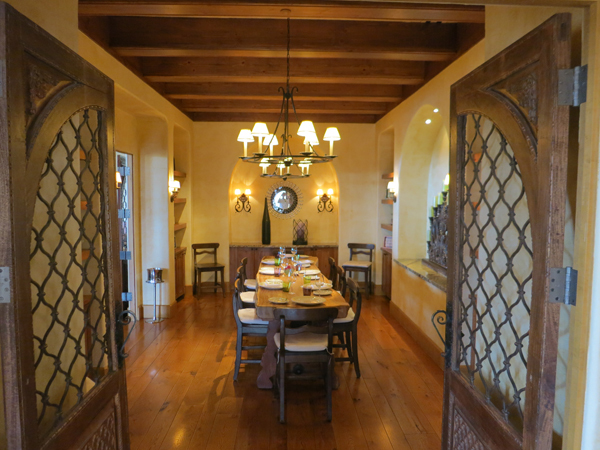 After all, it started this way: We checked into the Four Seasons Scottsdale at Troon North. Here are a few highlights of the deliciously plush property, which—we insist—you’ve got to check into yourself. 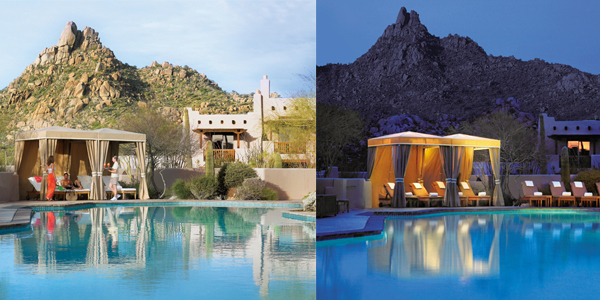 Perched in the foothills of Pinnacle Peak Park, the resort has 210 total guest rooms (and, you should know right up front: a pool that’s open 24 hours, a spa, and one of the most romantic restaurants on earth.) Some suites are in adobe structures called Casitas, which look like little, desert-style townhouses. After sipping our prickly-pear iced tea at check in, we took a golf cart ride over to our own casita, winding through roads dotted with Spanish daggers, towering cacti, and politely darting lizards. Our casita had all the essentials for a luxurious, forget-about-everything stay. In the bathroom, the deep soaking tub was stocked with verbena bubble bath from L’Occitaine and thick white bathrobes hung on nearby hooks. The mini-bar held everything from sour gummies to Johnnie Walker Black Label, but if we were craving tortilla soup we could’ve had that too—room service, or “in casita dining,” is available 24 hours a day. We had our own, gas-burning fireplace, a king bed piled high with down pillows and duvets, and furniture in soothing, desert-sunset shades of pink, purple, and orange. 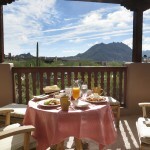 Our favorite perk of all was the casita patio, which became our own mini oasis for nature-gazing. At night, we looked up at the famously starry Arizona sky while crickets serenaded us. (For a city girl accustomed to car horns and sirens, that’s a pretty blissful setup.) 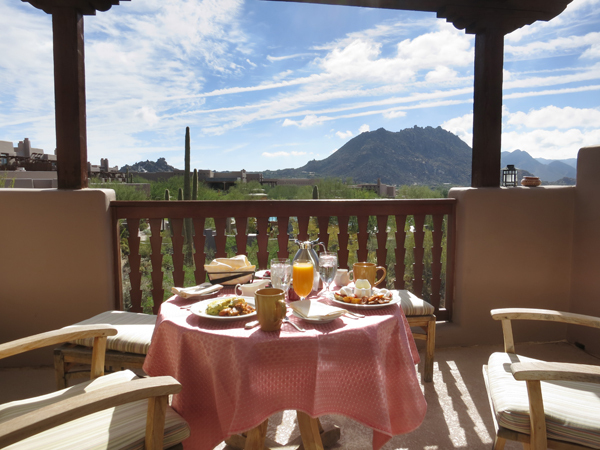 In the morning, we’d have “in-casita” breakfast in the sun, looking out at the jagged Troon Mountain peaks while we sipped our coffee and toasted our own bread. If you’re going to do a resort the right way, you’ve got to carve out several hours for doing-nothing poolside, and that’s precisely how we spent a large chunk of our first day. Sparkling, turquoise, and a whopping 60-feet long, the bi-level pool is filled with heated saltwater. (Which is easier on the skin than chlorine water.) On the terrace, first-come-first-served cabanas are stocked with plush lounge furniture, fluffy towels, and chilled water and fruit kebabs. You can also order up snacks and drinks off the poolside menu. The mojito—totally refreshing and not too sweet—is a must. Another tried-and-true way to relax? Book an appointment at the spa. (You’ll be so glad you did.) Scented with lemongrass, grapefruit and ginger, the space has 14 treatment rooms with dim lighting, ethereal music, and the cushiest, most cloud-soft treatment tables we’ve ever encountered. 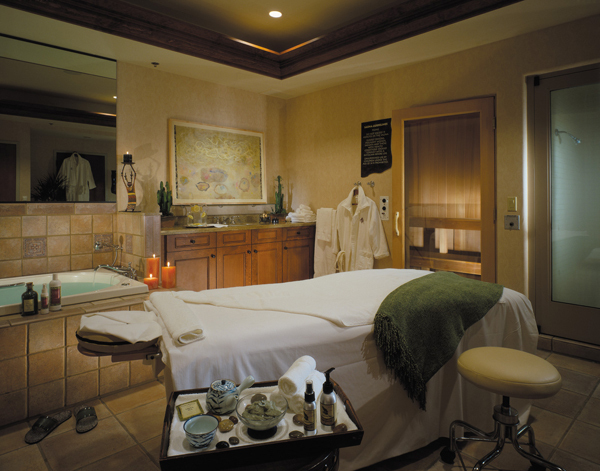 Signature services include the “Four Seasons In One,” an 80-minute treatment that combines massage with a soothing wrap and a light exfoliation; the Golfer’s Massage uses heated golf balls to work out kinks. Certified massage junkies, we opted for the classic Swedish massage. You know how sometimes you get a little ticklish during a massage? There was none of that here. The therapist had a truly expert touch, knowing just when to lighten up and when to apply more pressure. Eighty minutes later, we rose off the table feeling relaxed and dreamy, but still alert enough to grab the chocolate-dipped strawberry that was waiting for us. After your treatment, be sure to linger in the locker room a bit. You’ll get to take advantage of chilled, strawberry-infused water, a sauna, and a steam room. 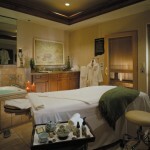 The spa’s a good place to do some on-site shopping, too. Its retail area holds fancy candles, Kashwére robes, and an unexpected assortment of cute, desert-friendly dresses. A word of warning about dining at the resort: Beware the devil bread. You won’t find it on the menu, but our waitress at Talavera—the hotel’s modern, high-end steakhouse—filled us in on the staff’s name for the pull-apart bread that comes to the table before dinner. It’s tempting to fill up entirely on the buttery, addictive dish, but you’ll want to save room to sample lots of menu items. For starters, we had a hard time deciding between the Sunizona Tomatoes (goat mozzarella, olives, and fig balsamic) and the Iceberg Wedge salad (loaded with lump crab meat), so we ordered them both. We also had sustainable prawns with lemon-caper butter sauce, bison short ribs with crab whipped potatoes, and, for good measure, a Valrhona chocolate soufflé. If you go, try to snag a seat on the patio. 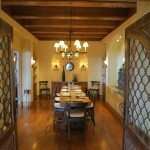 The elegant space is strung up with star-shaped lanterns and glows with soft candlelight. It’s also the perfect spot to catch the sunset over the mountains. 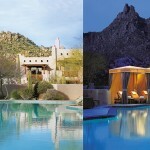 Other on-site eateries include the Onyx Bar and Lounge, adjacent to Talavera, and the poolside Saguaro Blossom. Proof, a brand-new spot, is inspired by a road trip and offers home-style fare from each of the 50 states, including chicken and waffles. Jenny Berg was first bitten by the travel bug at five, when a trip to Disneyland let her meet Captain Hook in the flesh. Since then, she's studied abroad in Paris, celebrated St. Patrick's Day at an Irish bar in Belgium, and toasted marshmallows at a bonfire in Carmel by the Sea. But her favorite thing about travel—hands down— is ordering room service for breakfast. Her work also appears in BizBash, Refinery29, and the Chicago Tribune.